Two new businesses have opened up on Talbot Street North in Essex. Rock-A-Bye Baby is Essex Centre’s newest baby boutique offering clothing, nursery décor, strollers, baby accessories and more. “I see this town becoming more populated, and many young families are moving here. Over the last few years, Downtown Essex has become more attractive and offers more to the community. I am a true believer in supporting local and believe my business will be a huge asset to our town,” said Kaitlyn Nussio, owner. 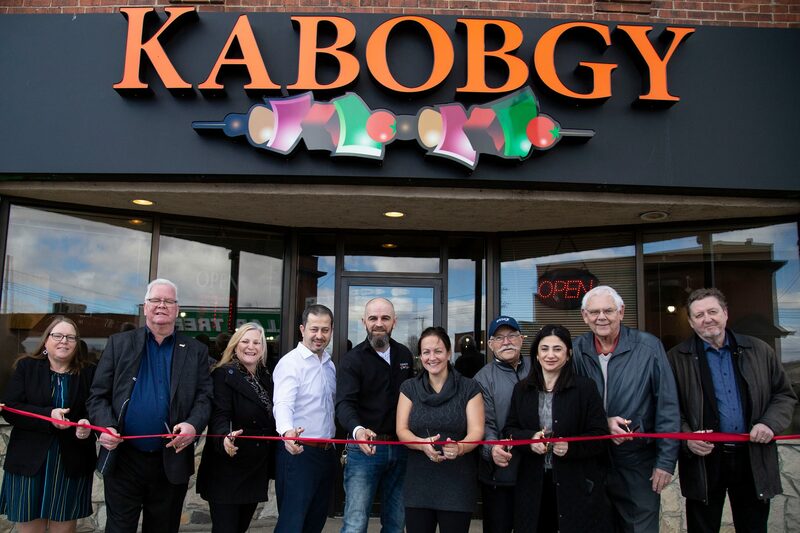 Also, now open is Kabobgy a family-owned business serving Syrian food. “I chose Essex because I like small towns and we have lots of clients from Essex already coming to our other locations,” said owner Wadi Hadad. Rock-A-Bye Baby will employ one full-time employee while Kabobgy will employ 7 to 8 full and part-time employees. “The Town has seen a number of new businesses open this year, and this back-to-back event shows we are a place to invest in. Independently-owned businesses are crucial to building strong urban cores and we are excited to welcome these entrepreneurs as they invest in our community,” said Nelson Silveira, Town of Essex Economic Development Officer.